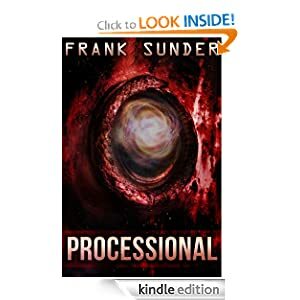 Frank is an avid fan of quality books, graphic novels, film, television, and music. After years of consuming media he’s decided to finally give back. There are different types of inspiration, but for me it starts with an idea. This idea is usually based on trying to say something important and meaningful about our world and human life, but then wrap it in a cloak of story and entertainment. Another type of inspiration comes from people close to me. Without their support, I would never have been able to accomplish what I have accomplished. With an earlier project, I found that I had to do a bit of structure outlining to keep me moving during the first draft. To do this basic outlining, I used a great piece of software named Scrivener. I’d create the scenes with basic descriptions of plot points before writing them, and that helped me keep my momentum. On the other hand, with my latest project I found that I already had the structure in my head and could just plunge ahead. The story took care of itself. Not as of yet,but one thing I will do is say my dialogue out loud to help nail the correct emphasis. The biggest piece of advice I can give is simple: Write. Just keep writing and never look back. Don’t self-edit during your first draft. Just write, write, and write until that first draft is done. Afterwards that story is out there for sale, try to keep a balance between marketing and writing that’s heavily tilted towards the latter. If you have a good story to tell and execute it well then, eventually, everything else will take care of itself. As a new author I went with self-publishing so that my early efforts could receive instant feedback, and therefore improve my craft that much quicker. Well, the future is always in motion, but I definitely believe that the traditional publishing models will either have to adapt successfully, or wither in failure when it comes to this period of high technology.